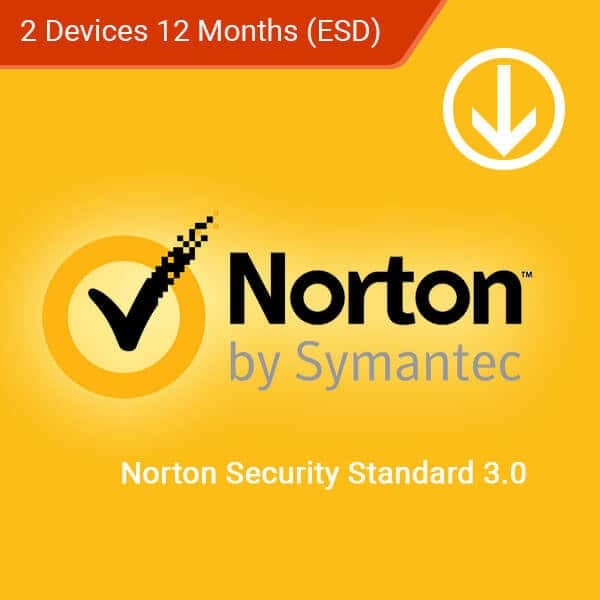 Norton Security Standard keeps you safe from cybercrime through comprehensive protection against online threats to your computer, your identity, and financial data. 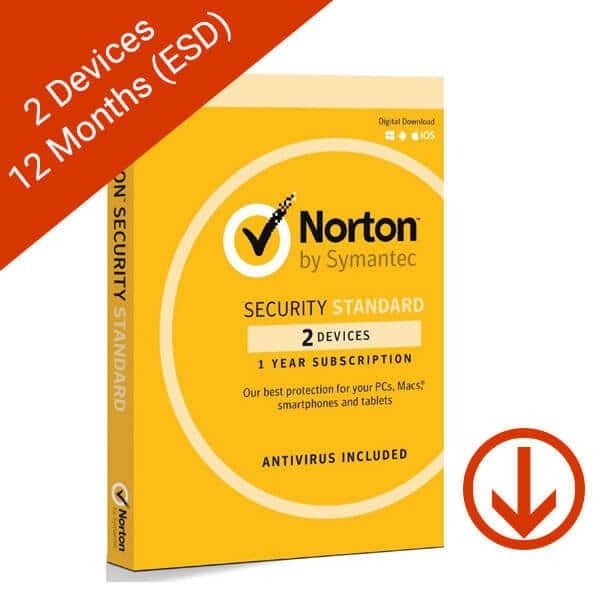 Unlike other free antivirus software and security solutions, Norton ensures that you stay protected from all threats – even brand new ones – through its global threat intelligence and advanced technologies to track down and eliminate them. Protect multiple devices with a single subscription. Easily install protection on your devices with just one click. Always stay protected with Norton’s cutting-edge global threat intelligence and advanced technologies. Stay safer with Norton compared to the competition. Time-tested unrivaled performance. An assured history as the fastest, lightest, most accurate device protection technology since its inception. This product is a digital license for a 12 month subscription and does not include physical components. This product can support up to 2 devices. This product can be used with Windows, Mac, iOS, and Android devices. Microsoft Windows 10 in S mode (32-bit or 64-bit or ARM32) version 1803 and above. Mac OS X 10.7.5 (Lion) or later. For Norton product version 8.x or later, Mac OS X 10.10.x or later required. Kaspersky Small Office Security provides businesses the protection they need to install and manage their security across their digital infrastructure. From laptops, mobile phones, to physical servers, make sure your business is protected from head to toe from online attacks, financial fraud, ransomware and data loss. Supports up to 15 users on Windows, macOS, Android, and iOS devices. 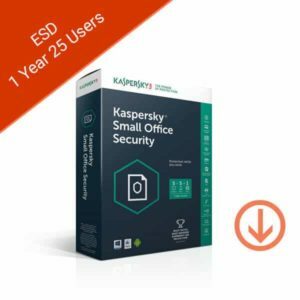 Kaspersky Small Office Security designed specifically for businesses. 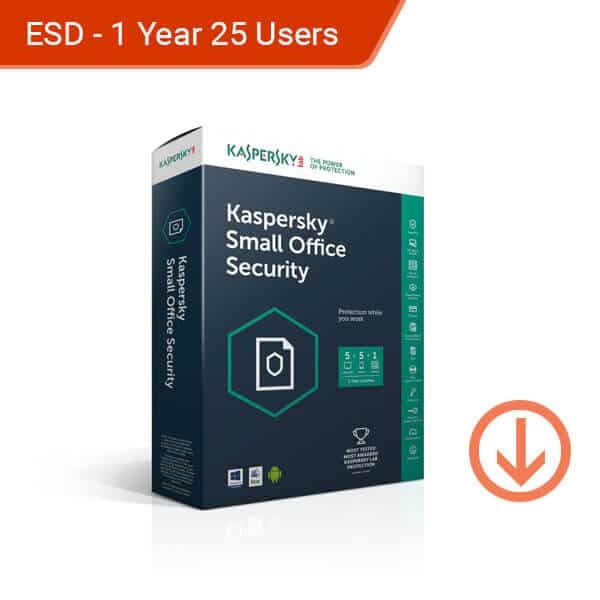 Kaspersky Small Office Security is very easy to install, even easier to manage and provides the world’s most tested, most awarded security to computers, file servers, laptops and your mobile devices, while protecting your business against online attacks, financial fraud, ransomware and data loss. 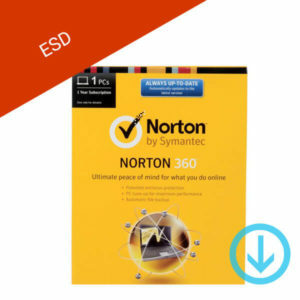 Norton 360 all you need to keep your system and information safe from modern online threats. Get a good year’s worth of protection against hackers and malicious software with this 1 year subscription for 1 device. Defends against multiple kinds of online threats. Protects your online transactions and personal information. Screens your online browsing and emails to protect your from hidden threats. This product is a digital license for 1 year. Supports up to 1 Windows device.